It seems that there is no better place to start this book that at the start of the subject matter at hand: that of wayang kulit. It is also widely acknowledged as one of the points of origin for modern film and theatre, certainly in Malaysia and the neighbouring regions. I say points, with emphasis on the plural, because in trying to research the subject, materials that explores wayang kulit’s relation to films in depth is not as deep as I thought it would be. This is certainly the case with books published by Western authors and institutions. There are those who mentioned it, but it is done so in passing, as if centuries of tradition merits only one line from the author. I believe that while there is clear technical evolution that led to modern day filmmaking, the art of wayang kulit has contributed immensely to the film appreciation in the region. 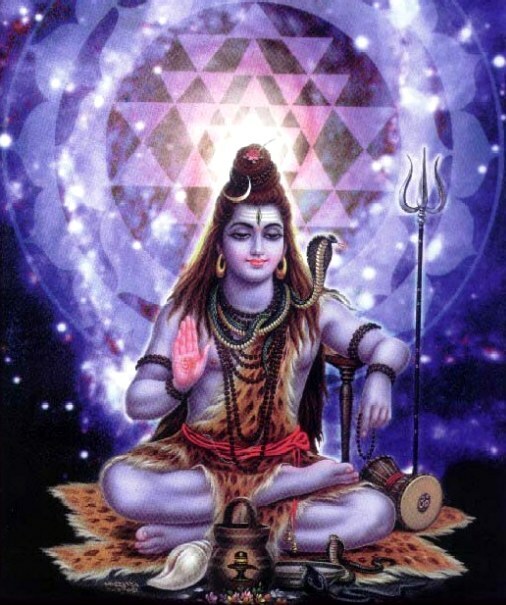 Thanks Shiva, Krishna, et al. His last line of assessment, however, inadvertently marks a characteristic about these arts, and in particular the art of wayang kulit. As is the norm for a lot of things Asian, wayang kulit itself draws upon a multitude of influences from across the continent. We can see the origins being played out in India, Thailand, and Indonesia, as well as Malaya, amongst others. Not only that, but religions such as Islam and Hinduism determined, for long periods, the kind of stories that is put up on the screen. Had wayang kulit been created and refined in the now of the 21st century, it would no doubt be seen as one of, if not the most globalised of performing arts. It was not, however, born yesterday, but many yesterdays, months, years and even centuries before. How far back, though, does it go? That may well depend on who you ask. James R Brandon, in his ‘The Cambridge Guide to Asian Theatre’ placed the marker at around the 500 year mark (though the Malaysia chapter is noted for contributions by Krishen Jit, it is unclear as to how big his contribution is, and so this point may well be attributed to him). In his book, ‘Contemporary Malaysian Filmmakers’, my father counted back 1000 years, so perhaps a true, conclusive authority on the starting point of wayang kulit can’t truly be decided. The same could also be said for wayang kulit’s geographical origin. Reading up on the evolution of wayang kulit, it seems to have been an ongoing process that draws upon influences from a multitude o different sources. One such example is nang talung, the shadow puppet theatre of southern Thailand and, more specifically, of the Patalung province (hence, with ‘nang’ meaning play, the name). Another Thai art form that has links to wayang kulit is the masked dance drama, nora. Brandon estimated that these arts, along with others like it, have been in existence since as the 12th century. Even China can lay a claim in the roots of wayang kulit, itself an evolution of wayang golek, an art traced to China in the 17th century. After that, “Islamicised reinterpretations flowed again from Indonesia in the 15th – 16th century,” Brandon writes, “carried by a network of Muslim traders and Sufi mystics…recent emigrations from Indonesia have established Javanese, Sumatran and Buginese communities in Malaysia with their arts intact” (194:1994). Islam, however, came in much later in the picture. Previously, wayang was a Hindu-dominated art, with the likes of Rama and Dasaratha serving as missionaries for Hinduism. This is not much of a surprise, however: residues of the Srivijaya empire, and the prevalence of Sanskrit helped to make this so. Classic Hindu epics like Mahabharata and Ramayana formed the basis of many wayang kulit performances. There are those, however, who may claim that Hinduism didn’t actually influence the wayang beyond the stories told. My father is one of them. “While it is difficult to deny that there are strong Hindu influences in the art of wayang kulit in Asia Pacific,” he wrote in the introduction for his book, ‘Contemporary Malaysian Filmmakers’, “the Hindu influence exists only in the stories it tells. Wayang kulit is the result of intelligent and local artistic evolution.” This may be true to a certain extent, and that the regional sources cannot be denied. Nevertheless, I believe that Hinduism’s strong influence indirectly forced the evolution of wayang kulit to their current state. Initially, wayang performances can be defined as being of the golek variety. These performances are different, in that they are performed without the white piece of cloth that covers the front of the stage. Wooden dolls are used in these performances instead of the shadows that we’re now familiar with. Interestingly, wayang golek can also be attributed to Wali Sunan Kudus, one of the founding saints of Islam in Java. A man of great tolerance and understanding (he even used symbols of Hinduism and Buddhism in his endeavours), he himself had used wayang golek to promote Islam. It was into this river that Hindu waters also flowed; the wayang was also used as a method to spread Hinduism. Eventually, Islam was strong enough to impose its conventions on society, which included the curtailing of wayang performances, in the belief that such physical displays of divine beings were haram. Not even the pleading of royal princes would change this. For the love of the gamelan. With time, and due to popular demand, however, a compromise was found: instead of having the puppets on display openly, a screen is to be erected in front of them, so as to project only the shadow of the puppets, rather than the puppets themselves. This mode of performance was deemed to be far more acceptable. It could thus be argued that such an evolution may well have happened even if Hinduism wasn’t around in Indonesia. That may well be the case, but I have no doubt that the Hindu elements of wayang at the time further hastened the process to its current state. 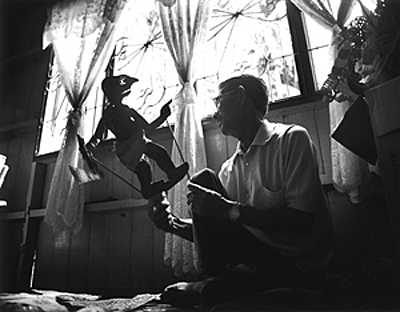 With such a wide range of influences, then, it is typical that there are many branches and types wayang kulit in Malaysia. I won’t go into a through explanation into all of them, for each form and format deserve their own book. I will, however, take a closer look at certain conventions of wayang kulit performances, before shedding more light on the various different types of wayang kulit. The term wayang kulit itself is derived largely from the material that the puppets are made of. With the hides of cows serving as the main ingredient, initial designs of puppets are drawn out, initially on paper. They are then subsequently replicated on the cow skin, before being carved out accordingly. The construction has to be done delicately and carefully, for the puppets and characters each have their own tradition and special identifying figures. After colouring the figure, the movable parts, such as the arms, are then attached. Some dalangs also display a sense of business nous: cheaper, cardboard were also made, to be sold to members of the audience (especially the children). Performances used to last all night, but nowadays midnight is the general threshold of such gatherings. Sometimes, should the tok dalang feel the need to give his apprentice some quality ‘screen time’m he will get his chance to perform before the main stories. The performances are performed on erected stages in a relatively open area in any given village. The front area is covered with a white piece of cloth (usually cotton), and, in the old days, an oil lamp. With the advances of technology and the availability of electricity, modern performances usually falls back on a halogen electric light. In addition to lighting the scene, it also serves as the light to guide the characters in the story: the lamp, which can clearly be seen from the front of the screen, can also serve to signify the sun. Wayang photoshop is the latest craze. Wayang kulit Jawa (also known as wayang purwa), on the other hand, comes across the sea from Indonesia.Despite being most popular in the north of Malaysia, it also has a strong presence in Johor, where it evolved to having shows in Malay instead of Javanese. Coming along with those who immigrated from Java, the art was passed down to their descendants. Purwa itself means ‘the start’, and is derived from the Sanskrit word parwan. The stories are generally of beings that are inhuman and spiritual in nature, aiming to show the relation between the Gods and human society, as well as how the world evolved and come into being (hence, purwa). The puppets are very elegantly made, from leather. 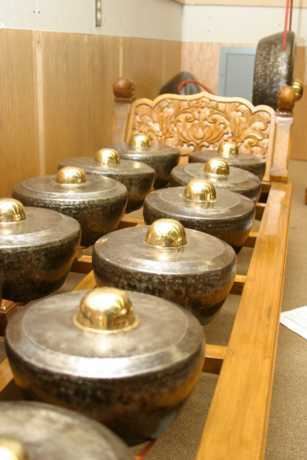 It also maintains the gamelan aspect, with the bronze gongs (gong agong, suwukan, and kempul), their smaller brethren (kenong, ketuk and bonang), lined up neatly on racks made of wood. They all have their own purpose in the story, denoting the sampak, srepegan and ayak ayak. 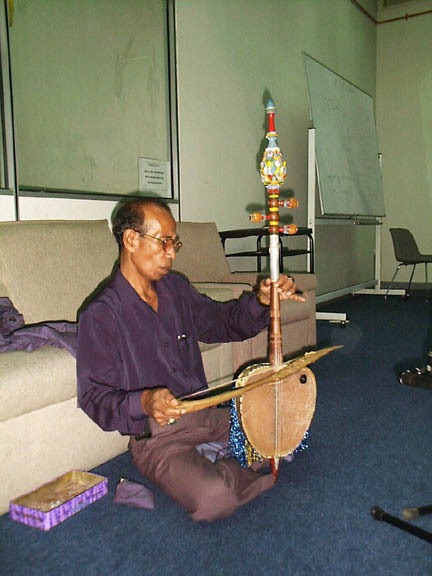 Other instruments include the sarun, demung, slenthem and gender, and the wooden xylophone called gambang. Wayang kulit Melayu is performed mainly with a reduced orchestra, concentrating instead on the stories of Panji to keep their audience’s interest. They are also told in Malay (largely in the Kelantanese dialect). And part of the Mahabharata, the part that concerned the Pandava brothers. This type of performances once flourished in the early part of the 20th century, as the support from the royal family for performances ensured that they’re often put on show. It is their support that sent the dalangs across the sea, seeking experience and knowledge, before coming back and evolving the art themselves. The Japanese occupation of Malaya interrupted this momentarily, but business picked up soon after that. With the number of stories adapted from various epics, it’s no surprise that some puppet sets can number in the hundreds. The puppets are very similar to its Javanese counterpart, but the story, placing more emphasis on character development, progresses at a slower rate. More spacious compared to the Itaewon mosque, that's for sure. One unique feature of wayang kulit Melayu is the spiritual aspect of things. Before performances, prayer rituals are held. Wayang kulit performances are considered as events that bridges the spiritual world to the physical, the heaven to earth. Some even consider the tok dalang to actually be entranced with spiritual powers during performances (how else could one man do so many of the things required of him?). 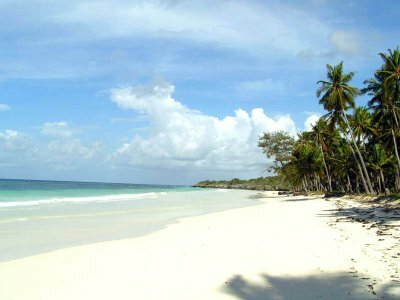 Puja pantai, for example, are meant to soothe the spirits of the sea. It must have take some soothing; the event lasts for three days. Berjamu, where food offerings are laid out, are also held. These are special rituals performed for special occasions, like weddings and the blessing of houses and wayang kulit stages. The completion of such a stage at Kompleks Budaya Negara, for example, was commemorated with the ritual. “Such ceremonies are focused at a spirit audience,” writes Brandon, “but also entertain human audiences” (1994:194). It is rarely done, however, with the cost and time it consumes being a factor. Another difference lies in the combination of instruments once again (for example, canang is far more appreciated in bigger numbers in wayang kulit Melayu). There are hints of evolution to the musical instrument rebab, however (which, incidentally, originates from Afghanistan). The malay version, for example, boasts three strings (one extra from its Javanese sibling). It is also bigger and longer, establishing itself as the bigger brother of the two. However, their popularity is on the downlow. So much so that wayang kulit melayu is, as Yousof writes, “on the verge of extinction.” (2003:296-297). Wayang Siam, if you can’t already guess from the name, is another Siamese influenced art. Nevertheless, it remains as much a Malaysian art is it is the art of others; it is arguably the oldest of the wayang kulit traditions, and, as Brandon writes, “the most important traditional theatre in the country” (1994:194). It is also reign supreme in Yala, Pattani and Narathiwat. Though in Malaysia, its stronghold is Kelantan. Thus, the names for the same art could differ, depending on where you are; the Thais call it wayang kulit Kelantan. The difference lies not only in name, however, but subtle changes in various aspects. The gamelan orchestra is usually composed of a team of musicians with a wide range. Six drummers handle the two gedang, two gedombak, and two geduk drums. 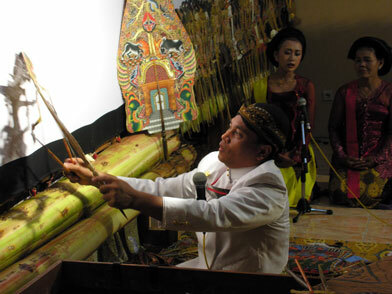 Two players hit the large gongs, tetawak, at the right moments, with two flat gongs (canang), flute (oboe) and metal clappers (kesi) playing their role as well. For example, the number of drums differ not only between states, but also between the districts within the states. Thus, though both are in Kelantan, a performance in Tumpat would sound difference from one held in Bachok. Even the pieces performed may differ: ‘Seri Rama Bersiram’ is popular in the east of Kelantan, but not so in the west. It tells of Hikayat Maharaja Wana, and Hikayat Seri Rama, two evolutions of the Ramayana (Yousof 2003:297). Sometimes ‘spinoffs’ (ranting, or branch) stories, based on the existing characters within the story are created. Even new characters can come into being, like the clown puppet Pak Dogol. Tales from the Panji epic and local histories are sometimes presented. If he's a one man band...does it mean he plays his own instrument? The main master of ceremonies here is the tok dalang. The tok dalang controls the puppets in the way that Paul Verhoeven directs his actors. 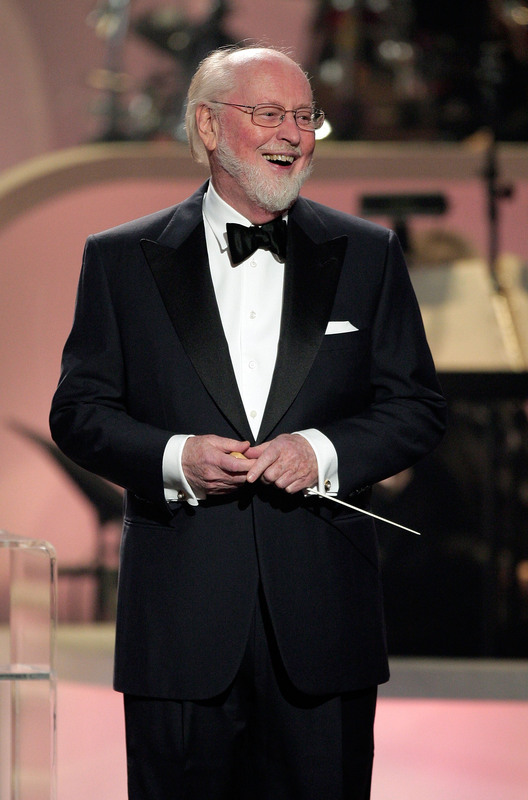 He conducts the music the way John Williams would conduct the music. He voices the dialogue himself, reading from the invisible script. In short, if the likes of Hitchcock can be considered as auteurs of the moving image art, then the tok dalang could very well be considered as the uber auteur of them all. It is unfortunate, then, that their numbers are dwindling to the point of non-existence. 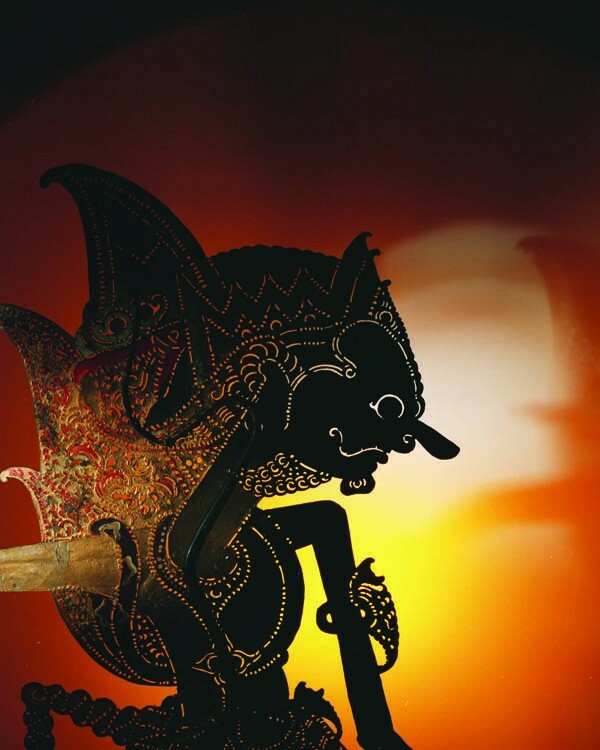 A part of the reason is simply the popularity of wayang kulit itself, which is crushed in the face of modern forms of entertainment (see below). A big part of the reason, however, also comes from the fact that being a tok dalang is not a matter of sitting in front of a big screen every night. You don’t necessarily study degrees for that. Rather, this comes in the form of a hands-on apprenticeship. The apprentice would spend time and effort with the master, learning the art of the craft as he goes along. However, he would not be trusted with holding shows. Thus, the most important part of one’s apprenticeship is to actually gain the tok dalang’s trust. And the trust is not easily given: one would wait a period of roughly five years before being truly accepted as a tok dalang in one’s own right. You could complete a doctorate at an American university in the same amount of time. It doesn’t take a genius to see which would be the choice of many. Hence, the number of tok dalangs of today are dwindling. Brandon estimates around 350 dalangs in Kelantan when his book was published (in 1994). Yousof, on the other hand, reckons that only “dozens of dalangs are still active” (2003:297), which seems to be a more realistic estimation. Nevertheless, you need not be a tok dalang to learn about wayang kulit. The late and great Hamzah Awang Amat realised this. Being interested in the art since he was a child, he eventually dropped out of school to become an apprentice under his father. Later on, he would also study under the renowned Pak Awang Lah. He would go on to achieve many things, and in 1971, he performed wayang kulit in over 30 cities in 10 countries in Europe and Africa. Constantly performing with the troupe Seni Setia, he also received the National Arts award from Yang di-Pertuan Agong, Sultan Azlan Muhibbuddin Shah, in 1993. However, it can be argued that he also became equally famous as a teacher. When Universiti Sains Malaysia offered a course on wayang kulit in the 1970s, Hamzah Awang Amat now take up the mantle of teacher, mentor and inspirator to the new generation, which also included non-Malays and women (those traditionally not involved in wayang kulit). Gibson Guitar had humble beginnings. Another famous tok dalang is Abdullah bin Ibrahim, arguably the most popular wayang kulit siam dalang. Beginning his training at the age of 15, he would regularly take part in wayang kulit competitions (main tewas). It was in one of these competitions that he won a number of red t-shirts, which became the uniform for his group of wayang kulit performers. Subsequently, he was more popularly known as Dollah Baju Merah, known for going against conventions and for innovating the art (red shirts are not exactly the most traditional of choices). They didn't have GI Joe or Transformers back then. Nevertheless, the contrast between him and Hamzah Awang Amat is there to see. While Hamzah may come off as the fightier of the two, Dollah would often shrug his shoulders, realising that change in society will have to come by itself. “I didn’t feel like [attending the meeting],” he said, when asked about the possibility of negotiating the lifting of the ban on wayang kulit with the Kelantan state government. “Besides, if they were serious about lifting the ban, why don’t they just lift it? What is the need for negotiation and new guidelines?” That’s not to say that he didn’t make his own contributions to the oncoming generation. Eddin Khoo, wayang kulit activist and founder of Pusaka, was his apprentice for many years. He also contributed to wayang kulit performances right to the end, consulting on productions such as ‘Macbeth in the Shadows’. The first part of ‘Origin’, the opening chapter from the as-yet-unpublished book, ‘Kelir Kaku: Behind the Seen of Wayang’ by Fikri Jermadi. The second part will be posted soon. Click here for a pictorial look at the film ‘Wayang’, while Fikri referenced his on-set experiences extensively in his write up on university films.